LLNF brings year-round science and nature education to people of all ages and backgrounds. 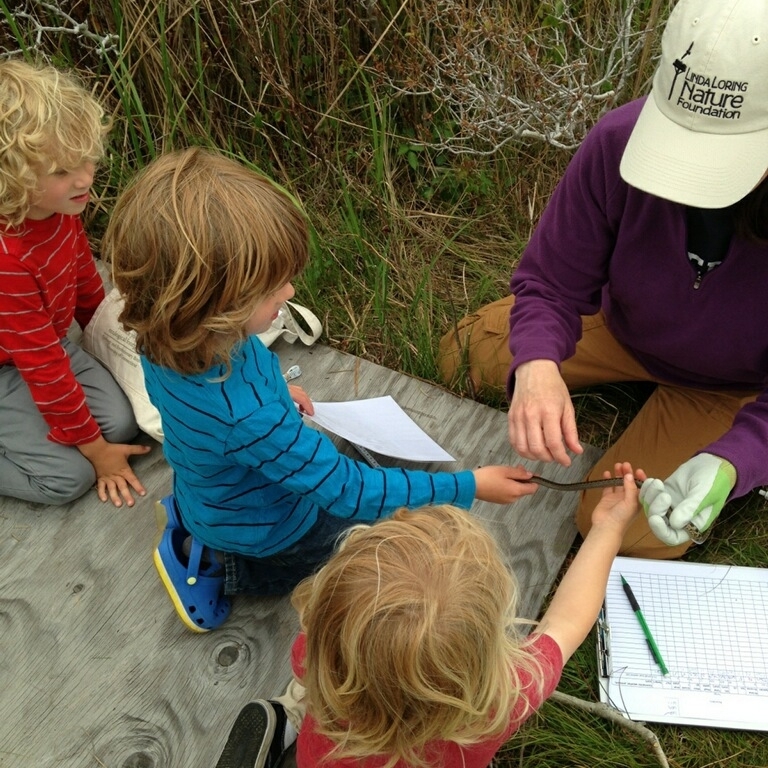 We offer various programs including our Kids in Nature workshops, bird/plant walks, and more! Available year-round, the Story Walk project is an interactive book trail that gets kids out in nature to read! LLNF staff work with the Nantucket community year-round, including partnerships with island schools. Our 108 acre property is a site for experiential learning for school and other community groups. Our research program works hand-in-hand with education providing opportunities for involvement. LLNF communicates science through writing, public talks, classroom discussions, and more. Learn more about how you can be involved with education programs at the Linda Loring Nature Foundation.